For your chance to win 1 of 5 £50 gift cards for our new store Smyths Toys, simply fill in the form below. Good luck! Promotion opens at 15:30:00 on 27/03/2019 and closes at 23:59:59 on 08/04/2019. 1. This promotion is 5 x free prize draws operated by The Brewery Shopping Centre (‘the promoter’). 8. The winners will have 28 days to accept the prize, otherwise the prize may be awarded to another entrant without compensation. 8b. Prize winners must have a photograph taken while collecting the prize for social media, website and future marketing purposes. 9. 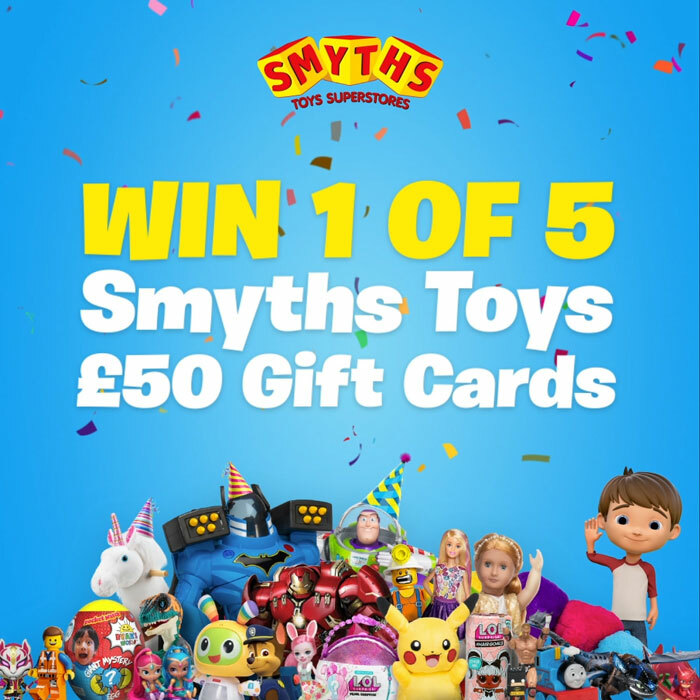 Entrants can only win 1 of the 5 available £50 gift cards for Smyths Toys. 17. By entering this promotion, you agree to these terms and conditions, which will at that time become binding between you and the Promoter.